To those of you who aren’t that familiar with Colefax and Fowler, let me offer a brief introduction. 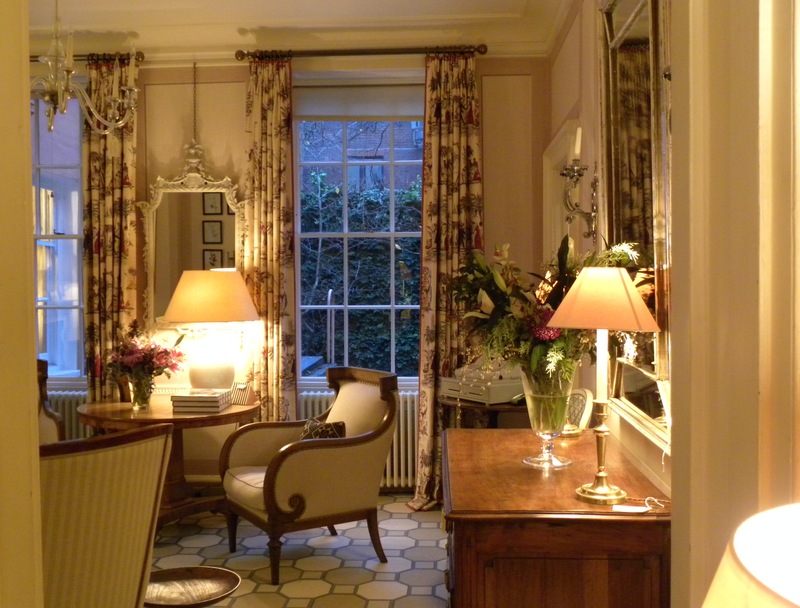 It is a most charming interior design boutique conveniently located in one of my favorite neighborhoods – Mayfair. The interiors are elegant with a warm comfortable design that feels quintessentially English although one that has unfortunately become increasingly rare and difficult to find in 21st century English homes. 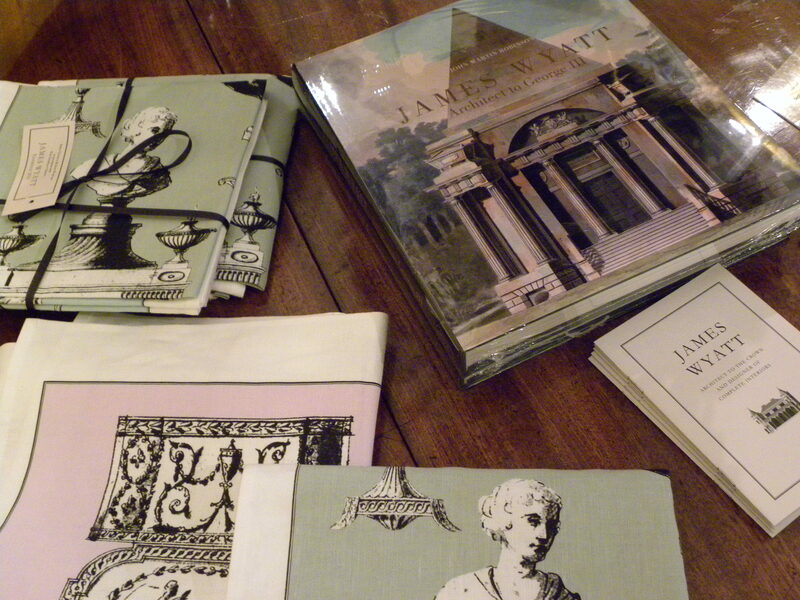 Within the beautiful boutique and among the many luxuries you can also find a small exhibition on James Wyatt ‘architect to the crown and designer of complete interiors’. 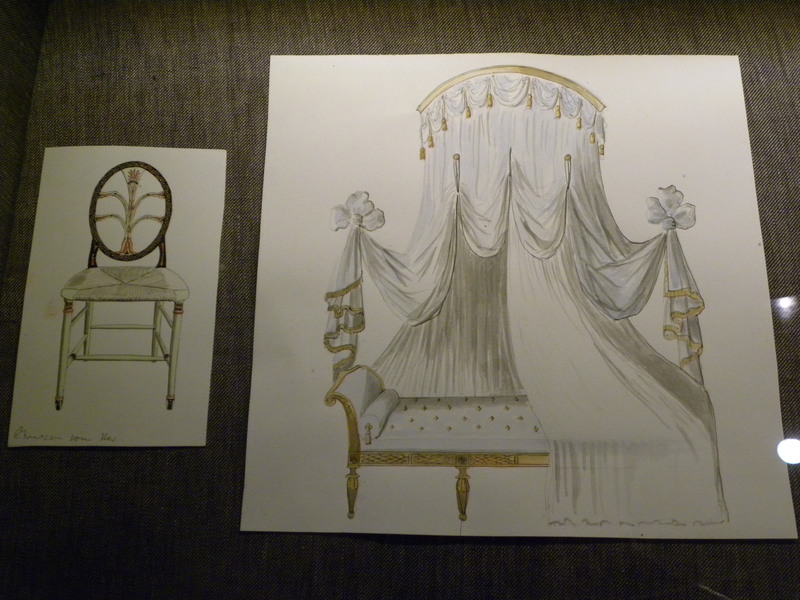 As a person that rarely shies away from extravagance and would dearly love to take up permanent residence in something by the likes of Château Vaux le Vicomte, Versailles or Waddesdon Manor, the James Wyatt sketch of the richly draped sofa/chaise lounge would be the perfect starting point. As I lay sprawled out on it I would have little problem finishing my long book list of lovely leisurely reads. I’d have Chopin music softly tinkering in the background and a warm cup of tea next to me. Ah, what a dream! There was also a section especially dedicated to exhibition themed items for sale such as postcards, tea towels, books, etc, and needless to say I fell head over heels for the tea towel set in pink and green. 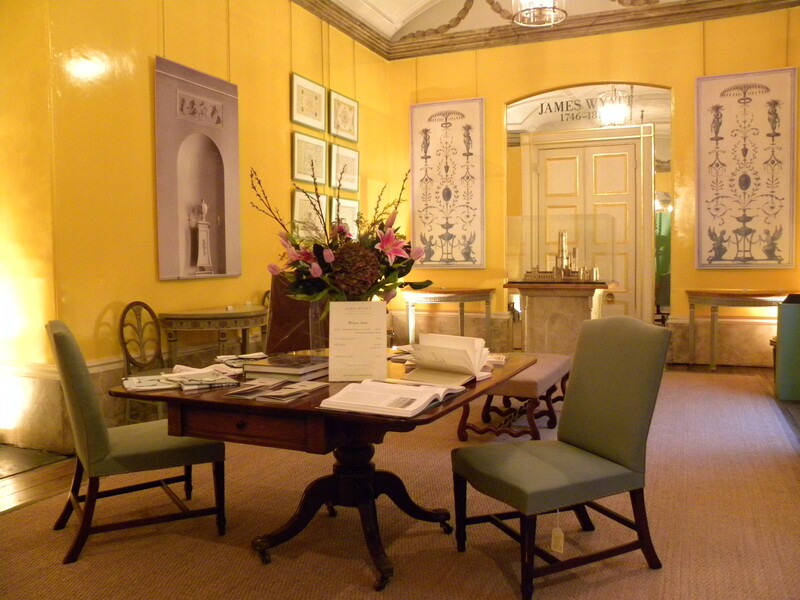 This entry was posted in Exhibition, Interior Decorating, London, Luxury and tagged Colefax and Fowler, Colefax and Fowler James Wyatt Exhibition, Exhibition, Interior Design, James Wyatt, London, Luxury, Sibyl Colefax & John Fowler by linneabylinneanilsson. Bookmark the permalink. 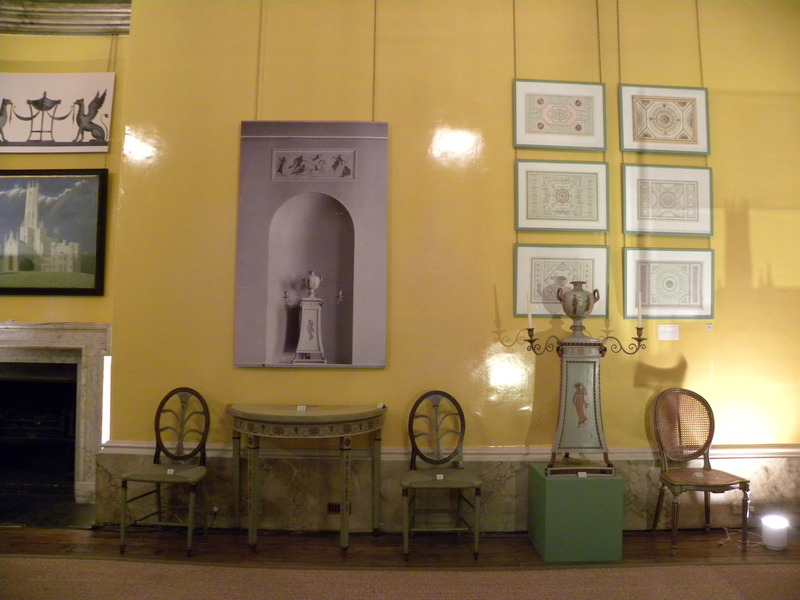 Wonderful interiors and photos as usual. I´m ready to move in too.